The new star in Placon's product line, a sustainable thermoformed plastic, needed its own identity. 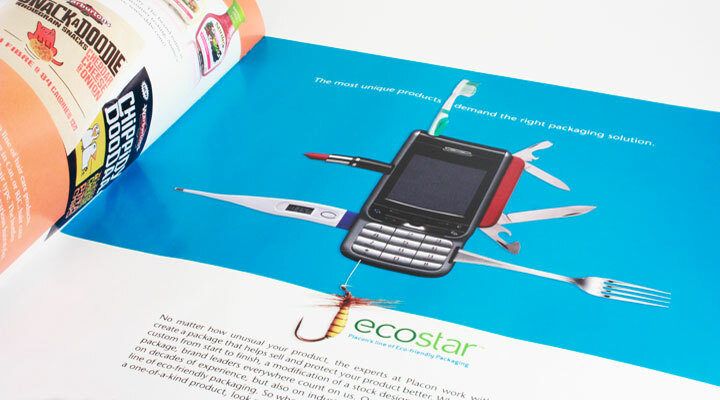 When we can help promote environmentally-responsible products or companies, it makes us happy. 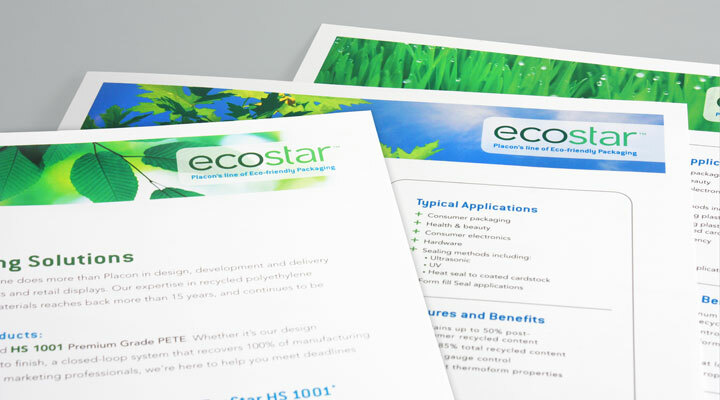 After creating the new EcoStar logo, we moved on to the associated sellsheets, product brochures, trade publication advertising and a tradeshow booth.